It’s the first week of spring, which means summer is fast-approaching. Before we know it students will be in full-on vacation mode, knee-deep in summer camps and pool parties, and seemingly a million mental miles from the classroom. Hey, everybody needs a break, right? The problem isn’t the vacation, it’s that when students do return to school, many of them register a few steps behind where they were before the break. 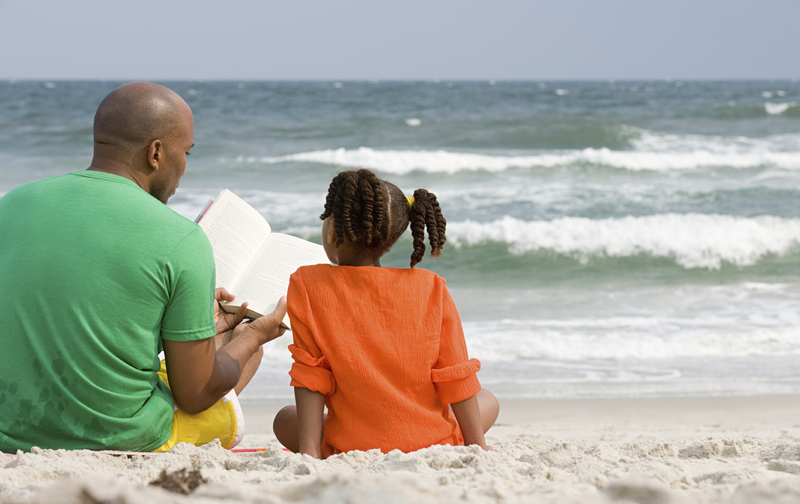 The National Summer Learning Association (NSLA) reports that students who take standardized tests at the end of the summer break typically score lower than those who take the same tests at the end of the school year. Math is especially tricky, with some students losing up to two months of academic progress over the summer. 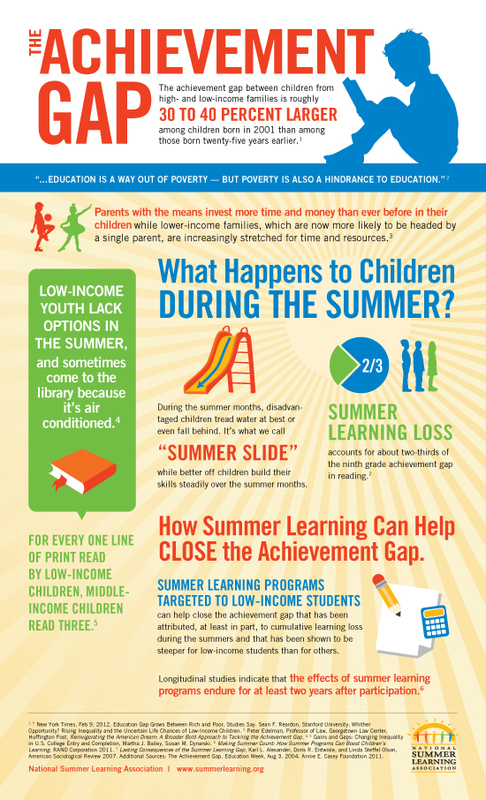 For low-income students, the so-called “summer slide” is even more acute. The NSLA blames more than half of the achievement gap between lower- and higher-income students on a lack of educational resources. Poor parents simply don’t have the resources to enroll their children in summer programs, and the effect is palpable. So, summer slide is real. What can your district do to keep students from falling behind? Many schools already release suggested summer reading lists. But you can take that a step further. For each grade level, assign a list of books and require students to write reports about each one. Encourage parents to follow along with their child’s assignments and ensure that teachers include these readings in their lesson plans when school starts up again. When I was in school, summer school was more a punishment for acting out during the year. But that’s the wrong idea. Frame summer school as an opportunity to enrich student learning. Whether it be a regular meeting with volunteer tutors, or a more extensive offering of academic classes, summer learning programs can help students make up lost academic ground. Some of the most successful summer learning programs are the product of partnerships between public schools and local businesses or non-profits. Baltimore City Public Schools, for instance, partnered with the Parks and People Foundation to create the SuperKids Camp. This six-week program, geared toward low-income students, includes a half-day of academic lessons followed by real-world interactions at several of Baltimore’s most-respected cultural institutions. The result: Three straight years in which 95 percent or more of participating students maintained or improved their reading skills over the summer. For more successful case studies and ideas for summer learning programs, check out the NSLA’s summer learning guide. Year-round school is a lightening rod for controversy, but one that some educators contend could spell the end of summer slide altogether. According to Education Week, as of 2012, nearly 3,700 schools had adopted the year-round calendar, a significant uptick compared with previous years. Of course, moving to a year-round calendar isn’t easy. Everything from scheduling to facilities operations to payroll will likely need an overhaul. Say nothing for how you present the idea to the public. If you’re considering ways to end summer slide at your school or district, it’s important to bring your community into the discussion early. Parents and staff have certain expectations of summer break. Families plan vacations. Support staff often work second jobs. There’s also the issue of added costs and resources associated with keeping schools open. It’s important to know where your community stands on each of these issues before making a decision that could backfire. Looking to engage parents, students, teachers and others in a dialogue about a new school calendar? Start by asking the community how they feel about the idea.